Can Paperwork Keep Potential Voters From Polls? The entrance to the Macon-Bibb County Board of Elections, where voting was steady on the second day of early voting in 2016. If you know Lindsay Holliday, you know he’s serious about his politics. Holliday, who most people in Macon know as “Doc,” was once a fixture at Macon City Council meetings where he made good use of the public comment periods. He has run for office. To call him politically active is an understatement. “I'm an activist. I'm definitely an activist and I'm ready to get active about this,” he said during a recent break at his Macon dentistry practice. By this, Holliday meant the letter he got in the mail about a week after the second round of Georgia primary voting this year. The letter said Holliday fell into one of three cateogories. Either he had moved, didn’t respond to election related mail or that he hadn’t voted in a long time. He said none of that was true. “I've voted in every Georgia election for the past 40 years,” Holliday said. He’s been in his house for about as long. The letter went on to say that if he didn’t take action in 30 days, Holliday ran the risk of being labeled an “Inactive Voter.” The whole thing left him unnerved and not a little angry. Between Russian election interference and fears of electronic voting machines vulnerable to hacking, there’s a lot to worry about these days in the realm of election security. Sometimes, though, the things that move the needle on elections are far less exciting. Sometimes all it takes to affect an election is a piece of paperwork, like Holliday’s letter. Heather Bowman Cutway, also of Macon, got one, too. And like Holliday, she wanted to know what it was about. She let a reporter listen in as she called the number for the Georgia Secretary of State printed inside. “About a month ago I received a form saying they are updating voter lists and it gave three reasons why I am getting this notice…,” she said before getting cut off by the voice at the Secretary of State’s Office. “You can disregard that,” the voice said. An small card included in the letter was self-addressed and postage paid to the Secretary of State. Seemed logical that the whole letter originated there. “It didn't come from this office,” the voice insisted. The back and forth continued until Bowman Cutway was told to call her local board of election. That’s where the conversation stopped. The Macon-Bibb County Board of Elections did have answers, but it turns out they were not what Bowman Cutway got on the phone. When her polling place moved this year, the Macon-Bibb County Board sent Bowman Cutway a new voter registration card, which they say was returned by the post office. That automatically triggered the follow-up letter Bowman Cutway somehow did receive. According to an open records request to the secretary of state, about 2,500 other people in the county got one, too. But, it turns out disregarding the letter, as she was advised on the phone, was exactly the wrong thing to do. The right thing was to either return the information card to the secretary of state or, even more simply, just show up and vote in November. Sean Young is an attorney with ACLU Georgia, and he has gone to court over situations like this. All of it is familiar to him. 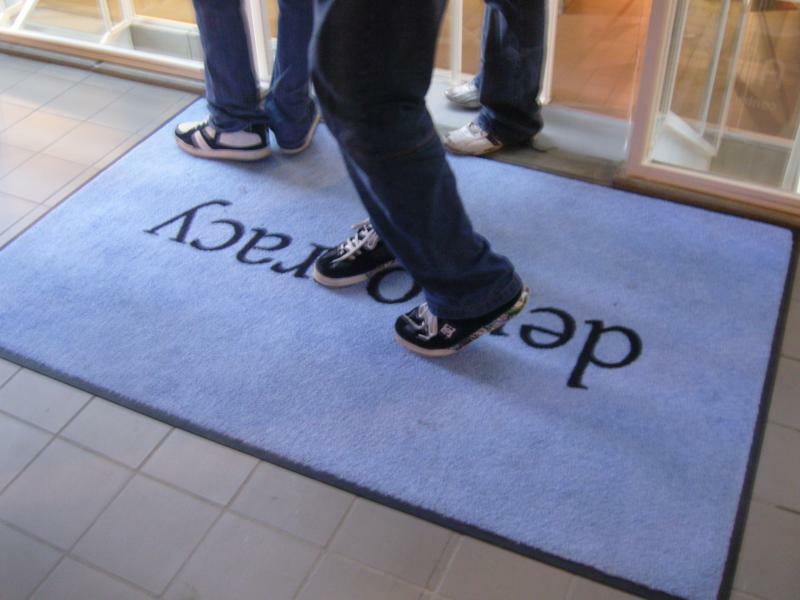 “These kinds of intimidating legalistic confusing notices that people get in the mail that read like subpoenas... I mean this is the kind of thing that has kept marginalized groups from the polls for centuries,” he said. 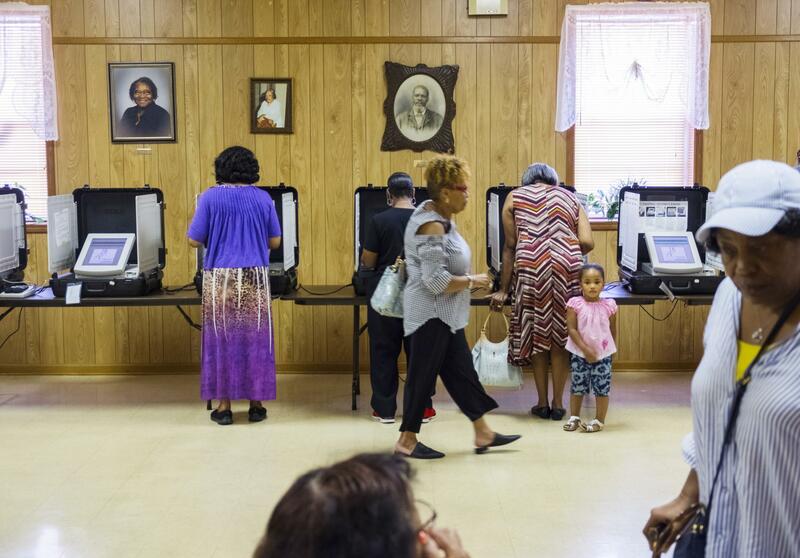 At the East Macon 4 Voting Precinct at New Griswoldville Baptist Church in Macon-Bibb County, 130 people had voted beneath portraits of church elders by 11 am on the first primary election day of 2018 in May. How can a letter keep you from the polls? While Bowman Cutway is calling offices in Atlanta to make sure she can vote and "Doc" Holliday is sure to kick down the door to his polling place on Election Day, other people have to be coaxed and cajoled to the polls. Letters like this can be a powerful disincentive to them. How many people received these notices? The Georgia Secretary of State’s Office said 35,000 letters like the one Bowman Cutway received have gone out in the state this year. Michael McDonald, head of the United States Election Project at the University of Florida, said based on how a similar Ohio practice upheld a few years ago by the U.S. Supreme Court was shown to work, one could imagine about 2,000 of those 35,000 forms going to people who, unlike Holliday and Bowman Cutway, are reluctant voters. And there are things that Ohio case can tell us about who those reluctant voters probably are. And they will also be people who change addresses a lot. They could be Republicans, too. 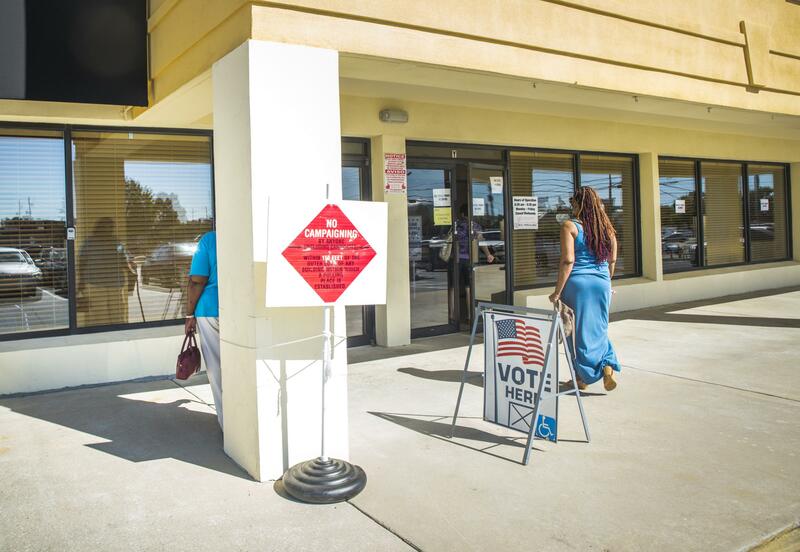 An open records request filed with the secretary of state’s office showed that just over half of the voter confirmation letters sent out this year by local election boards went out in solidly Republican counties. 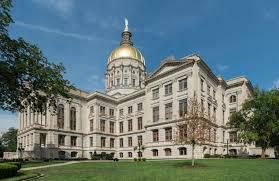 In fact, the highly-Republican Paulding County mailed more confirmation letters than any other county this year. And what about those 2,000 people who could be persuaded not to vote? On first glance, it might not seem like a big number. But Michael McDonald said numbers like that add up. “In the very close elections these numbers become meaningful,” he said. Especially when they are combined with other rules. “Even though any one of them sounds like it's not a particularly interesting or meaningful policy, when they start mounting up on on top of one another, these policies can actually deter a large number of people, thousands potentially, from voting,” McDonald said. Right now in the governor’s race, Stacey Abrams and Brian Kemp are about two points apart in the polls. Using the results from the last Georgia gubernatorial election as a guide, that scales out to about 60,000 votes. McDonald said this isn’t nefarious or about one person tipping the scales. He said this is just how Georgia law has been put together over the years to balance the right to vote against the need to keep voter rolls accurate. That some people throw up their hands in frustration and stay home is just a side effect. For Sean Young of ACLU Georgia, that is precisely the problem. “This is like a death by a thousand cuts approach to democracy,” Young said. Michael McDonald said having voter registration at the polls on Election Day would be better than a patchwork of voter roll maintenance. Until that happens, there is some good news. If you’ve been warned in a letter you might be an inactive voter, all you have to do to fix it is vote. Does Democracy Have A Time Limit? Centuries ago, Plato predicted that democracy is always doomed to fail and die. He said a tyrant will always rise in democracies and end the free system. Was he right? We asked Charlotte Thomas, a philosophy professor at Mercer University in Macon. On this edition of Political Rewind, the panel takes a look at a new attack ad against Stacey Abrams calling her a "Bloomberg-Soros Hate America Leftist." Meanwhile, Abrams uses an appearance on national television to attack Brian Kemp on his job performance as Georgia's Secretary of State. Political Rewind: Should Georgia GOP Be Worried After Close Congressional Battle in Ohio? On this edition of Political Rewind, a special election for Ohio’s 12th Congressional District was “too close to call” on Tuesday night. 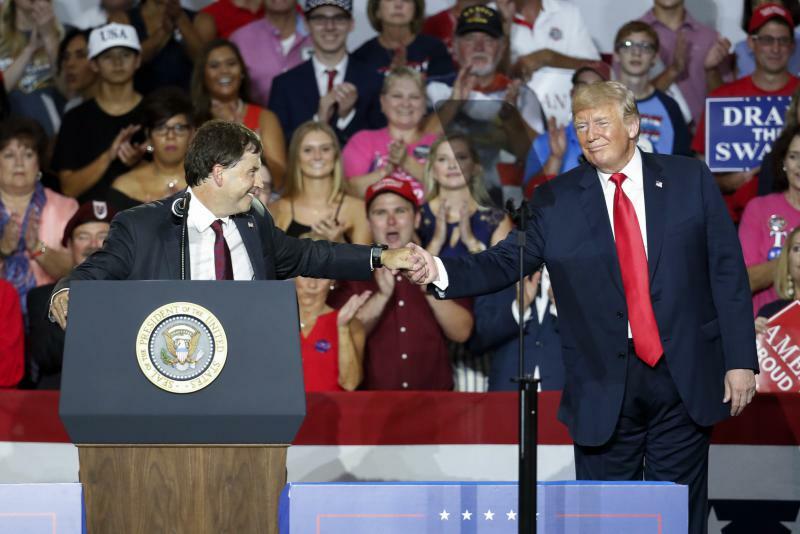 Vying for a congressional seat that has been held by a Republican for three decades, Trump-backed Republican Troy Balderson and Democrat Danny O'Connor have put GOP congressional campaigns across the country on alert.